HALLIE EPHRON: I’m so delighted to welcome my sister Delia Ephron to talk about her new novel, SIRACUSA. Goodreads reviewers are drenching it in praise. “IT’S MASTERFUL” “Superb!””Captivating and intoxicating.” A starred review in PW. Dark and suspenseful, a week after its pub date it's in its third printing and being turned into a major motion picture. Am I jealous? Not saying. The story is told Rashomon-style with four narrators, two couples who vacation together in Sicily’s Siracusa. In one corner: Michael (a playwright) and Lizzie (a magazine writer), a childless couple. In the other corner: Finn (a hip chef in Portland Maine) and his wife Taylor (Portland’s events coordinator and publicist); their sylph- and sphinx-like 10-year-old daughter Snow (named because she was born during a snowstorm—Lizzie thinks she’s “wallpaper”) is traveling with them. It’s compulsively readable, and you know all the while the story, for all its normalcy, is careening toward cataclysm as lie after lie is revealed. 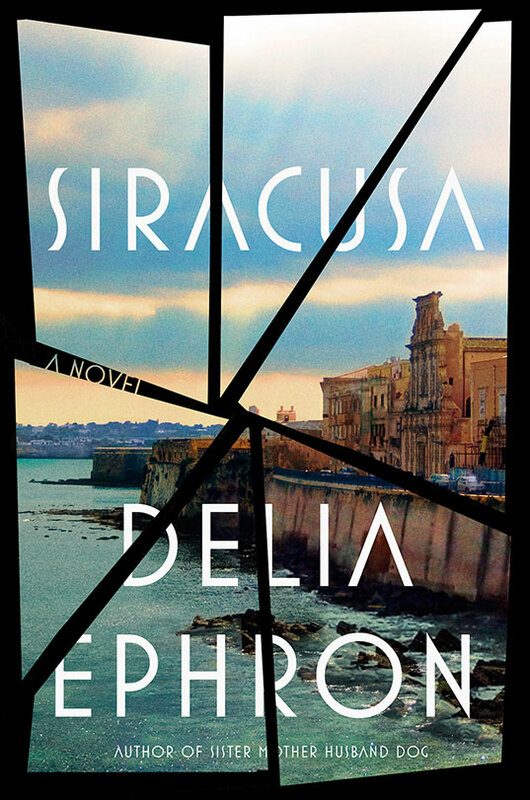 I happen to know that Delia and her husband often traveled with another couple, dear friends (unlike the two couples in the book who mesh only on the surface), but I had to wonder what in her travels inspired Siracusa? 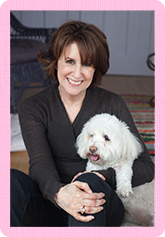 DELIA EPHRON: Siracusa inspired the book. I was there on vacation. It's this falling down place in Sicily on the Ionian Sea and the old section is remarkable. The Romans knocked down all the trees in 212 B.C. to build warships and never replaced then. It's paved with ancient stone, narrow streets, tattered buildings. A stone paradise. The first day I thought, this is the most magical place I have ever been. The second day, I thought, if I don't get out of here fast I'll go mad. When I got home I realized it was the perfect place to set a story about marriage, about two couples on vacation careening toward disaster. Of course then I had to go back and do serious research, which I did, several times. You are a better more experienced traveler than I am. BUT, travel intensifies everything, doesn't it? Friendships can grow closer or go up on the rocks. The isolation of travel is great if you're feeling romantic and unbearable if you're not. So isolating these couples by putting them on a vacation in a foreign place was perfect for the story I wanted to tell. HALLIE: And in that “bad hotel?" DELIA: Truly you never know which your best trips will be. Traveling is unpredictable. And the bad hotel -- it can happen on a vacation -- and for Taylor this is terrible. She blames Lizzie, who made the reservation. But that's just salt in the wound. Other wounds are bigger. HALLIE: So many of your other works (“You’ve Got Mail” “The Lion is In”) have wonderfully flawed but likeable characters, but in this book the characters are anything but. What was it like making that shift? DELIA: Very freeing. This is a dark book -- very funny in parts, but wicked. I didn't worry about whether anyone would like Lizzie, Michael, Taylor and Finn. I wanted them only to be real. Interesting and compelling. So many people have said to me, "I thought I liked, say, Finn, and then I thought, I don't like him at all." As a reader your opinion keep shifting as the betrayals and lies and paybacks mount up. And of course my characters all have opinions of each other and of Snow. The reader discovers that. HALLIE: One of the most troubling characters in the book is Snow, Taylor and Finn’s daughter. As the mother of daughters I found myself squirming. Where did Snow come from? DELIA: My wicked brain. Here's the thing: I'm very interested is how attached some mothers are to their daughters -- relationships I've observed where the lines are blurred. Taylor loves her daughter more than her husband, which happens sometimes in marriage. Snow is sphinx-like, as you said, an enigma. Is she shy or is she cunning? Is she manipulating or being manipulated? Should I love her, want to protect her, or fear her? HALLIE: (That picture of Delia and me was taken before the premier of her movie, "Hanging Up.") Four viewpoints, intertwined and overlapping is so hard to pull off. Perfect for this story, since secrets are its fuel. But did you find it challenging? Did you have to map it out? DELIA: So difficult. By the time I hit the third quarter of the book, my head was swirling. Who knew what, who didn't, what would be revealed and to whom. I had lists on my wall keeping track. But I don't outline. I started Lizzie, Michael, Finn and Taylor with problems. Michael is having an affair and Lizzie doesn't know. Finn and Lizzie had a summer fling many years before, and he is feeling shut out of his marriage. So I start them there and, as I write, the story, takes off. The most important line I wrote early on that gave me guidance, was a line of Lizzie's: "Couples collaborate, hiding even from themselves who is calling the shots and who is along for the ride." I have an inner compass about plotting. I trust my subconscious to take me where I need to go. I knew something BIG would happen in Siracusa, and one day I realized, Oh that's it. That has to happen. I got so excited. HALLIE: You’re writing a screenplay now for the book. Are you having to alter the story structure? Whom will we root for?? DELIA: Oh, you need to root. H'mm. I wasn't thinking about that. I'm very excited that Siracusa has been bought for film and that Alfonso Gomez Rejon will direct ("Me, Earl, and the Dying Girl). With a screenplay, I have to find the movie in the book. Create the visual medium and telescope the story to hold onto its essence. So what is the central current? Also do I need a Rashomon? Film has other ways of indicating point of view. Do I need to alter the story to make it work better. In film I don't have the luxury of the "inner voice" unless I do voice over. So all these problems have to be address. Also this is about marriage and friendship -- characters make lots of observations about that. Need to keep that aspect. How? HALLIE: What an interesting problem. Novels lack the visuals of a movie, but we do have narrative voice. TODAY'S QUESTION: Have you ever traveled somewhere that left you with that feeling? While I’ve experienced “the most magical place” a time or two, I cannot honestly say I’ve encountered such a reversal of feelings for any of the places we’ve traveled. Nevertheless, it’s quite an intriguing concept . . . one that makes me anxious to read “Siracusa” and see how it evolves in the story. Wow, congratulations, Delia! I read The Lion is In and loved it. And a movie gig, too. What a feat you've pulled off, with four POVs and associated secrets. And your observations about the intensity of traveling with others, so very true. I've traveled a lot, and I'm not sure I've experienced a place I felt I had to get out of. But one vacation with my then-husband and his four brothers and their wives (plus all our children) was excruciating, mostly because I knew by then I was on my way to divorcing him and I did NOT want to be there. Thanks for visiting and telling us about the challenges in writing "Siracusa", Delia. I am fortunate that I have been able to travel several times a year for both work and vacation each year. And I guess I have been lucky that I have not experienced a place that I was anxious to leave on day 2! Edith, where was it? Hope you use it (or have) in a book. We had an excruciating vacation renting a house on the water with a family we thought we knew well but it turned out we had no idea. TMI! And then there was our trip to Prague BEFORE the velvet revolution. Fascinating, eye opening, GORGEOUS, but I couldn't get out of there fast enough. Hallie, it was in Portland, Oregon, where most of the in laws lived (still do). Nothing exotic - but way too far from home for me to walk home! We had a vacation once many many many years ago in I forget whether it was Martha's Vineyard or Nantucket. Jonathan and I were sitting on the front lawn reading, and another couple's child insisted on practicing his golf swing by shooting golf balls in our direction. I said: hey honey, could you aim those another way? He told his mother, who came out and was angry with me because this was his favorite place to practice. Hank, that's not just hostile, it's dangerous. And you're still friends? Reminds me of "friends" who had a very scary pit bull that they refused to control. When the pit bull died they got a rottweiler. Sweet dogs. To their owners. Had an absolutely horrific trip to Hawaii of all places. Crazy. At some point I'd like to go back, just to clear out some memories. Delia, if your reading this, thanks for your manners book! My son loved it! Oh my gosh, it was horrific. I'd say we were out of contact for about two years… And now all is forgotten. Don't even get me started on people and their nasty dogs. "Oh, she's just excited… " I love dogs, most of them, but sometimes people don't see reality. Siracusa is on my list of books to read when/if I ever get a break from my blog reading. Fortunately, I have less Bouchercon prep reading to do this year, so that will be helpful in making in-roads in my other reading. This sounds like it could be appropriate for the blog as well, so I can always use that "excuse." We all know I can't get enough of domestic suspense. Thanks for bringing Delia around for a chat, Hallie. Just want to say I miss my dog. On this book tour thing now in Kansas City and ... I'm sure Honey is pining as I am. I have had the greatest trips traveling with friends, but not all. Hallie, I think Nora didn't like Prague either or maybe it was Istambul. Joan, Siracusa was really powerful, I think it's the stone, that it is unforgiving. Bounces sound, heats up under your feet. And the lack of green. Thank you Edith, I'm writing the screenplay now and that is fun. Strange but some of my best books come out of bad trips. Cinque Terre produced my YA Frannie in Pieces. All that awful hiking. Delia Ephron: Oh man, I screwed up. That unknown is me. UNKNOWN! I have to say that makes me laugh. Because I've always said when I write MY memoir (don't hold your breath) I'm going to call it THE OTHER SISTER. And speaking of dogs who need manners lesson, last time I visited Delia her dog ate my Chilewich bag which was feather light and nearly indestructible. Nearly. But Honey smelled the plain bagel I'd brought with me from Boston and, well, by the time we realized the bag was shredded. And on the "manners book" - it's a hilarious book, great to read with kids... "DO I HAVE TO SAY HELLO? Aunt Delia's Manner's Quiz for Kids/Grownups." Illustrated by the brilliant Ed Koren. Published 25 years ago and still as fresh as ever. Yes! DO I HAVE TO SAY HELLO is the title of the manners book, thank you, Hallie -- we're traveling and my brain is shot. Although Kiddo was less than pleased to receive it. "Do you think I'm uncivilized?" he asked. Delia: Thanks, Susan. Hallie, I feel really bad about Honey eating your purse. You were so sweet about it. Just heard that news last night that Siracusa made the NY Times Best Seller list so pretty excited. Good Lord it's genetic. 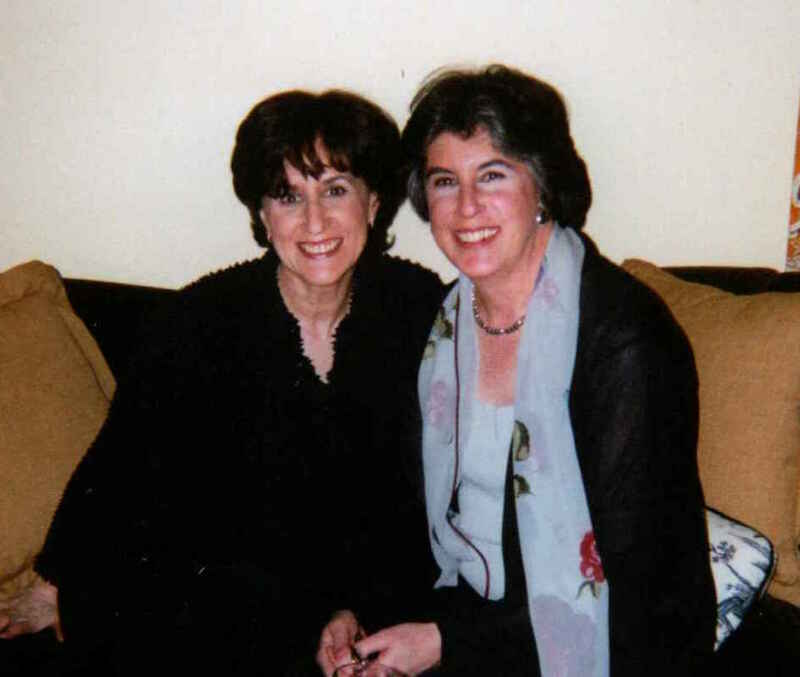 The Ephron sisters are making me laugh as much as their mother did. Congratulations on the new book Delia. Just put it on my TBR list. So, Delia, I'm behind Hallie: Jealous? Not saying. ;-) When I hear people ask a writer, how do you come up with all these ideas for books, I just shake my head. Life is full of experiences--it's all in how they catch the imagination. 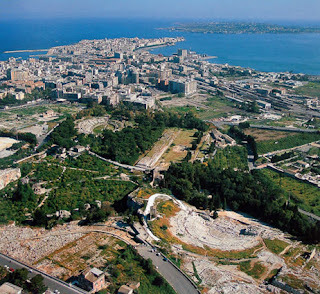 Did you go to Siracusa planning to come up with a new story? No--love the way the intensity of that physical experience coupled with the idea of emotional intensity to give you the idea for your book. Enjoy your tour, the NYT nod, the screenplay--all the buzz about your book--I'll be looking for it! Ann, actually my mother was pretty funny (she looked like Katharine Hepburn and cracked wise like Dorothy Parker), but I think you're referring to our sister Nora. DELIA! WHOOPEE on the NY Times List!!! Delia, this sounds so fabulous--and so challenging! I don't outline either but I rarely have more than one point of view. I have loved all the placed I've stayed in Europe and John has had to tear me away, hanging on by my fingertips, from most of them. We once went camping with a couple whose ideas on child rearing were very different from ours. They rushed out and washed their child's hands every time she touched the forest floor. And when she put a pebble in her mouth they sat with her for half and hour holding out a candy saying "Trade, Ashley, trade," while she sat defiant and glaring with the pebble in the mouth. "Trade, Ashley, trade" - Laughing! Because I remember a camping we took our 9-month-old on and finding a rather large pebble in her diaper. The next night we found an entire raw green bean. We should have been paying closer attention, but she survived our parenting. Hooray for NYTimes Delia! I heard your interview on NPR last week and thought I would need to read this book. And a funny trip to Canada with my in-laws and John's sibs and their kids. The only thing to do there was fish. And you could only do that at dawn and dusk. My father was with us too. Wednesday morning I remember waking up and having him ask me "what day is this?" We've gotten so many laughs out of that over the years – but not a book! Yay Delia! Love love love this! And the next day after your event--which was so fabulous--- I got an Amazon sales pitch with your book at the top! I saved it in case iyou want to see it… It's pretty cool . Roberta I was afraid of that! Hilarious! Lucy, YOU would only eat McDonald's?? How old were you? That would be my nightmare trip, a place where you could ONLY get McDonalds. "The first day I thought, this is the most magical place I have ever been. The second day, I thought, if I don't get out of here fast I'll go mad." This is such a great line. I was about to say I'd never been on a trip like that, when Lucy/Roberta mentioned McDonald's. The Girl and I went to Lancaster, PA for a national dance competition. She was about 10. She had a solo, but there was also a group number. One of the other girls in the number couldn't go because her mother couldn't go (each girl needed a responsible adult). This girl was 11 or so; close to my girl's age. So I said I'd bring her and she could room with us. How hard could it be, right? Big mistake. Big. Huge. Like "how hard could writing a mystery novel be?" huge. This girl refused to eat anywhere but McDonald's (which my girl and I both hate). She couldn't swim, yet insisted on going swimming, mostly when I wasn't watching (because my girl is an excellent swimmer, she's on the swim team at HS now and has done summer club swimming since she was 9). Longest weekend OF MY LIFE! Couldn't wait to get back home and give this girl back to her family. I feel bad saying that now, but ugh, terrible trip in that respect (others as well, but I'll leave that story for another day). Congrats on the NYT, Delia! Delia: Thank you for the support and good cheer. Trying to decide where my next trip should be. Any suggestions? And Hallie, thank you for hosting me. I love Jungle Reds. I'm on my way to airport and will check in from there. Mary, your story is reminding me of the time I went with my daughter to a soccer tournament - we shared a hotel room with my daughter's friend and her mother. The other mother had THE most elaborate nighttime routine I have ever witnessed that culminated with slathering herself with fragrant (stinky) cream. Fortunately just one overnight. This story is a reverse of a bad vacation -- I was in college in Washington, D.C. (GWU), and my parents had come to visit me and my older sister who was also living there and worked on the Hill. They all decided they wanted to drive down to Williamsburg, Virginia and I did not want to go. Well, I lost that argument, so in protest I brought every textbook I owned and told them I would stay in the hotel room studying -- I was such a brat. Well, I ended up loving Williamsburg, and to this day, get teased about the picture of me standing by the car, holding all my political science books and notebooks and looking very put upon. I enjoyed the conversation on Siracusa and look forward to reading it. I also wanted to tell you that one of my favorite movies ever is Desk Set -- I just recently discovered that your parents wrote the screenplay. I love the Christmas party scene, and Katharine Hepburn and Spencer Tracey are delightful throughout! Delia: love desk set too. Can't believe how many bad trips people have. My worst was to a New England Inn w an old Christmas tree in the room. It was July. Delia, the book sounds terrific, and huge congrats on the New York Times list!! On my TBR list, and I have to get the manners book for my daughter. Hallie, thanks for bringing us your sister today. Your family is one full of endless talent. Wow! 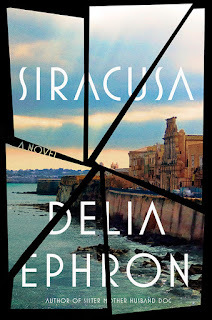 Delia, I have been seeing Siracusa all over the place, and as is often the case, its appearance here on the Reds blog is the final push to place it on my TBR list. The history of the place sounds fascinating, as does your story taking place there. And already in its third printing and on its way to being a movie. I would say success is achieved. Well, you know how they say in the wedding vows "for better or worse." I got to experience that on my husband's and my first trip as a married couple, our honeymoon. We had reservations at a mountain resort, but I had let my husband make the reservations, and they didn't start until the night after our wedding. Long story short, there was no place to stay along the way, on our wedding night, so we drove up and down the mountains several times and ate breakfasts a couple of times. We finally got in our room the next day around noon. I had a definite love/hate relationship with the mountains that night. And, my husband has never been allowed to handle reservations again. Kathy, I love that story! He's lucky you didn't throw him back. My husband and I went back to his tiny bedroom in an apartment after our wedding and slept in his twin bed. Next day we left for a 3-month trip to Europe. What were we thinking?!?? After that, our marriage could survive anything. Hahaha, Hallie! He is lucky I didn't do that. I think your husband did great in making up the first night. When I was a girl I spent summers in Vermont with family friends who had moved there from Massachusetts. They were the most fun times I ever had back then. Then one summer my mother was sick, but she wanted to go anyway. I didn't realize that she was drunk and not sick until we were halfway to Burlington. We stopped at a roadside stand for coffee. I was only 14. I didn't know enough to not get back into the car. There were a lot of sober adults standing around watching us and gawking at me and my mother as I tried to get her to drink coffee. I didn't know it wouldn't help. What I have never reconciled is the sight of those sober adults with horrified looks on their faces and not one of them helping in any way, as I tried to convince my mother that she shouldn't drive. I had to choose from staying behind alone with strangers who showed no inclination to help me and risk another 3 hours with my my mother driving. We went home a week later. That was our last vacation in Vermont. I can't believe I missed the blog one time, and ended up missing Delia's signing here! Siricusa sounds like a great read! Reine, once again you move me to tears. I'm sure you know I grew up with alcoholic mother, too. Fortunately she hated to drive. Hallie, I do know. This is a blog of many layers. That's why I come here. I find this place home worthy. When my mother was dying, I asked my father to drive me to the hospital to visit her. Halfway down Lake Street in Alta Dena, he drove up on the sidewalk and was, fortunately for nearby pedestrians, stopped by a parking meter. I said,I guess that's why Mum never lets you drive. He said, "Yeah, but there's no stopping her." My family was dangerous and hugely funny. Some day I might come through with their death bed humor. Mostly my mother's. My father insisted on being poetic. Altadena. I can't write without speech-to-text, and speech-to-text can't spell. the summer vacation ten years ago my very religious conservative adult daughter found out I was gay before I had the nerve to tell her. I put it off because I couldn't think of a nice way to put it. She accidentally walked in on me and my now wife doing the deed.It was so awkward for a long time. iOS tools. Pokesnipers Android is currently unavailable https://www.butrint.org get the application on your PC. The highest ranked.